On 1/21/2019 at approximately 9:43PM Plumsted Township Police officers were dispatched to the Valero Gas station at 410 Pinehurst Road(Route 539) for an armed robbery with a handgun. The suspect was described as an African American male between 6’00-6’02 inches tall with a medium build. 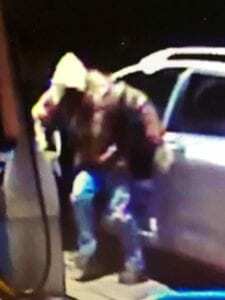 The suspect was wearing a hooded sweatshirt and a camouflage jacket along with blue jeans. The suspect produced a black handgun and made away with proceeds totaling $325.00. The suspect’s vehicle is described as a newer model Nissan Rogue, silver or grey in color with unknown tags, it was last seen traveling south on Route 539. The suspect is considered armed and dangerous and we ask if you come into contact with him, you do not approach and instead call 9-1-1 immediately. The media and the public are reminded that criminal charges are accusations. Each person is presumed innocent unless and until proven guilty in court.